Woodland themed musical toy fun. 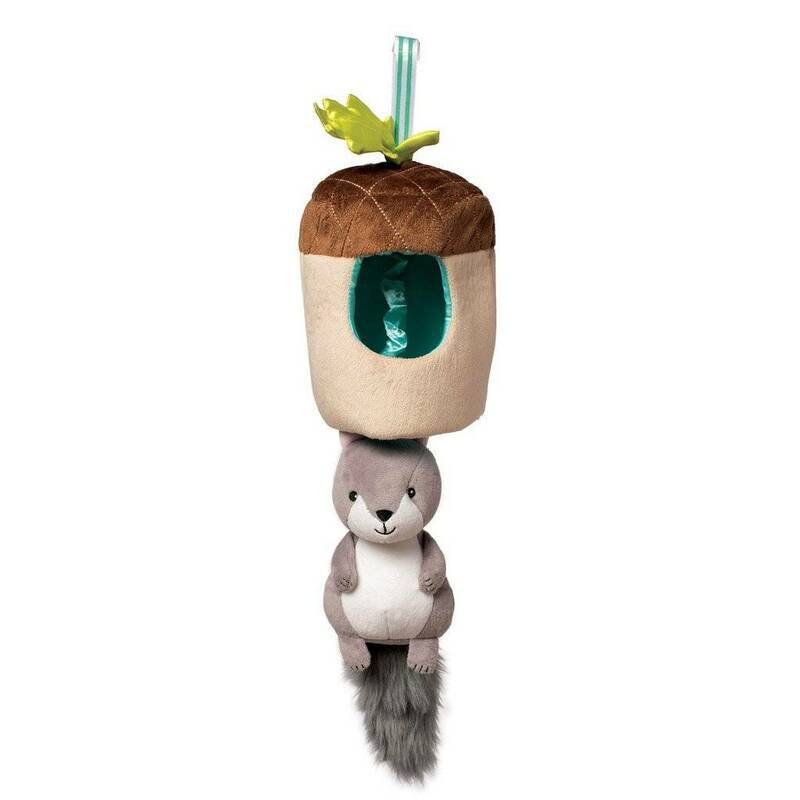 Woodland themed musical toy fun. 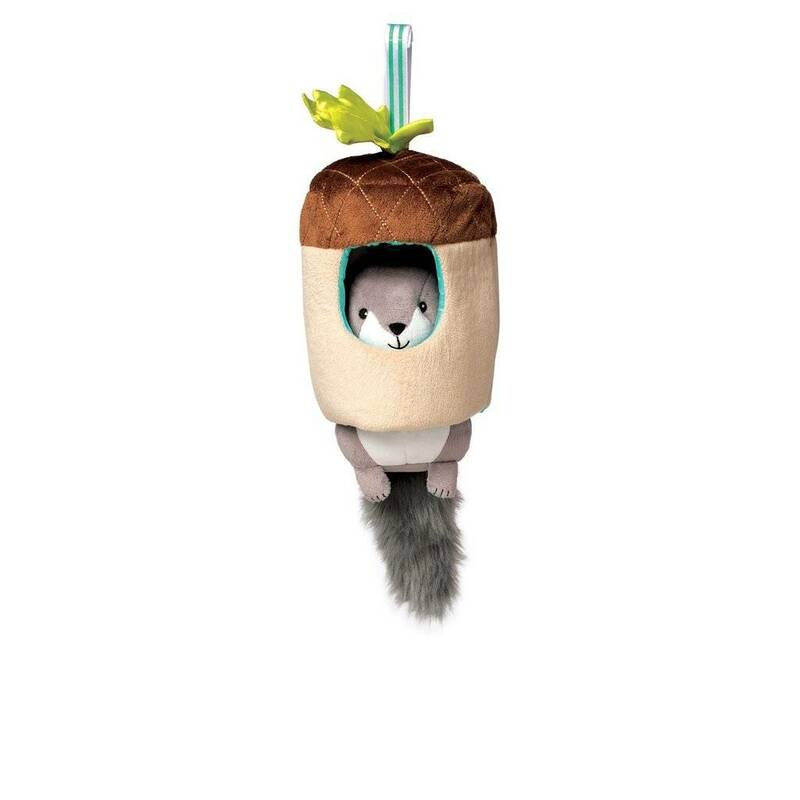 Pull the friendly squirrel down out of his acorn to hear the “Cradle Song” by Brahms as he slowly moves back up to hide in his peek hole. 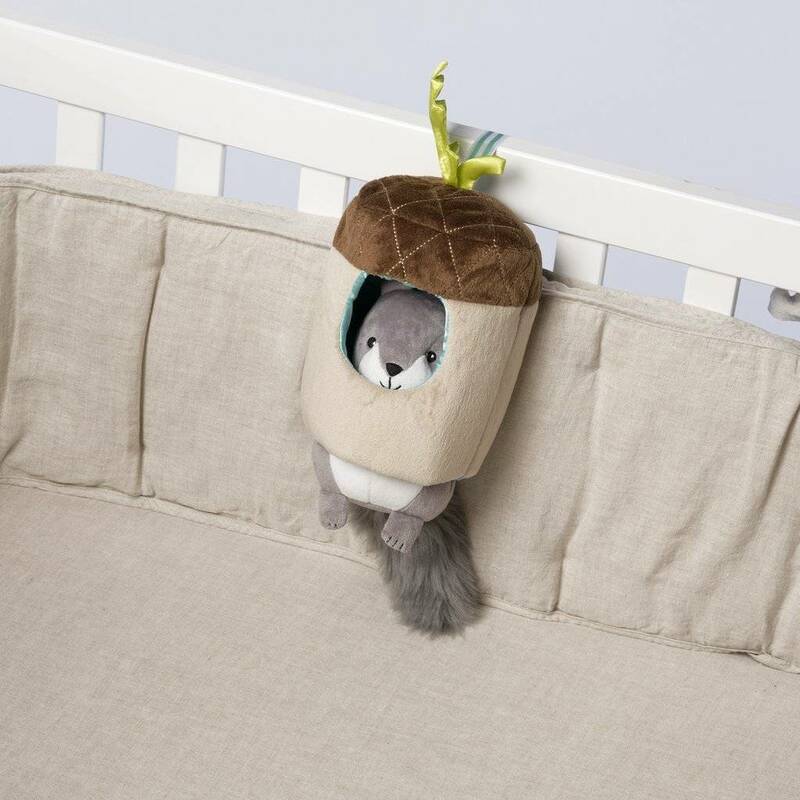 The Lullaby Squirrel features soft fabrics and crinkle paper leaf. Also includes a fabric loop with hook and loop closure for attachment to cribs and strollers.